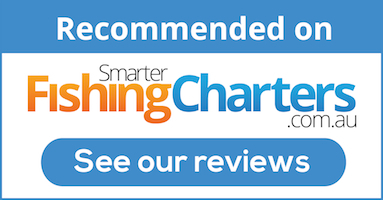 Fishing charter owners and operators - it's easy to create links from you website back to your independently verified fishing charters reviews. See below for a couple of examples. If you are not sure what to do, contact us and we'll help you or your webmaster out. 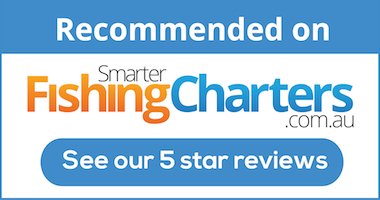 See our 5 star Moreton Island Fishing Charters reviews as independently verified by SmarterFishingCharters.com.au. We are recommended by fishing charter website SmarterFishingCharters.com.au who independently verify all angler reviews. See our Moreton Island Fishing Charters 5 star reviews. We are happy to help you implement any of the examples above. Feel free to contact us to get the code that you can use to link back to your fishing charters reviews.